When alcohol is consumed, a powerful toxin called acetaldehyde is produced by the liver, which is 30 times more toxic than alcohol itself. A significant body of published research shows that acetaldehyde is the underlying root cause of not only hangovers but also largely responsible for liver damage, damage to tissues, cells ,and even DNA itself. In fact almost all alcohol related complications can be traced back to acetaldehyde. 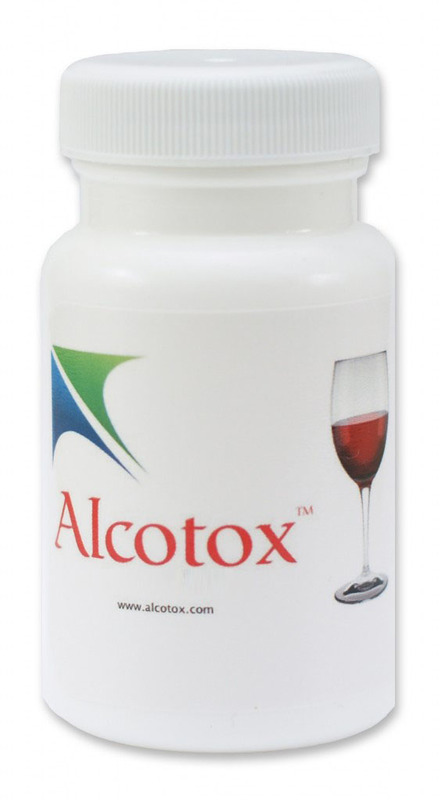 Alcotox is designed to target, scavenge and neutralise acetaldehyde. A recent lab test showed that just one capsule of Alcotox was able to reduce more than 80% of the acetaldehyde found in common alcoholic beverages. The vast majority of hangovers are actually suffered by light to moderate drinkers. However, you do not have to drink to intoxication levels to benefit from Alcotox. As little as one glass of wine can exert a powerful effect on the liver. Alcotox works in harmony with your body’s natural defence systems by providing it with the raw materials it needs to cope with the extra demand. Alcotox contains a precision blend of high quality amino acids and vitamins including N-Acetyl Cysteine, Alpha Lipoic Acid, L-Glutamine,L-Taurine, Vitamin C, Vitamin B1,Vitamin B5 and Vitamin B6. Alcotox contains all 3 of the glutathione pre-cursors Glycine, Glutamate and Cysteine to maximise production of intra-cellular glutathione, the body’s own master anti-oxidant. Alcotox is safe, effective and free from drugs, herbs and stimulants. It is also cost effective as one capsule is sufficient to counteract between one and two standard drinks ( between 2 to 4 UK defined alcohol units). The suggested dose of one capsule per drink allows for differences in individual metabolic ability. Built into each capsule is a wide margin of error of almost 90% . Please note that Alcotox is not intended to prevent, treat or cure any disease or medical condition. Alcotox is a dietary supplement that promotes general health and wellbeing by supporting the body’s natural ability to metabolize alcoholic beverages.